Eye surgery is a much more common procedure nowadays. At one time it may have been carried out in order to save sight, but now it is done to stop the patient having to wear glasses or contact lenses. Many procedures are carried out using lasers and normally recovery only takes a few days. Short sightedness or myopia to give it its medical term is the best condition to treat if undergoing Specsavers eye surgery. Most shops will be able to help arrange a consultation before surgery is recommended and this will normally be free. 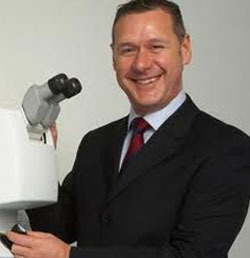 Specsavers eye surgery is carried out by surgeons who are employed by Ultralase. As a long standing organisation involved in laser eye surgery it has been considered that using an already trained surgeon is the best option. With a network of clinics throughout the United Kingdom is makes more sense to use their services than for Specsavers to open up their own clinics. It is very easy to reach an Ultralase clinic in order to undergo Specsavers eye surgery. London and the South East have a number of clinics in places such as Harley Street, Tottenham and Guildford and leading to the Midlands there are bases in Birmingham and Nottingham. Liverpool and Manchester services the Northwest, while further north they have clinics in Newcastle. Scottish residents are serviced by clinics in Glasgow, Edinburgh and Aberdeen while for Wales and Northern Ireland they are in Cardiff and Belfast. Recovery time is normally very quick although it is recognised that there are some people who do seem to have blurred vision for a few weeks afterwards. If this does not clear in a couple of weeks it should be checked out. Most people will be able to go back to work within a few days although with some surgeries it is best to wait for 2 weeks. Driving will be resumed somewhere between a couple of days and a couple of weeks. Getting back to exercising will depend on how strenuous the form of exercise is. Gentle aerobics will be a week while with football it is recommended that this does not happen for four weeks. If there is any discomfort it will be best to discuss these time scales with an optician or surgeon before starting them again.